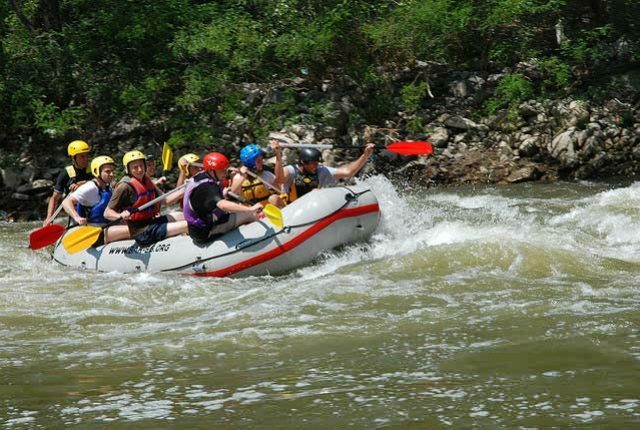 We offer rafting in the Carpathians on the Black Cheremosh river (next to Dzembronya village). 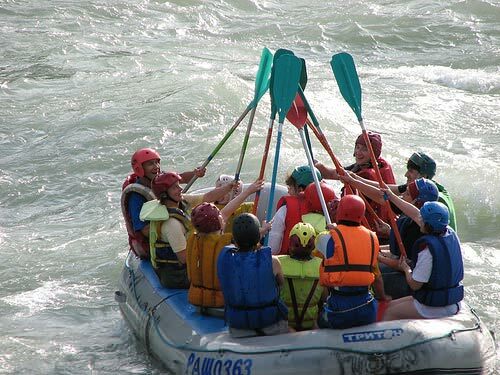 An average duration of rafting trips is 2,5 hours. It’s a great chance to have fun while visiting Ukrainian Carpathian Mountains. 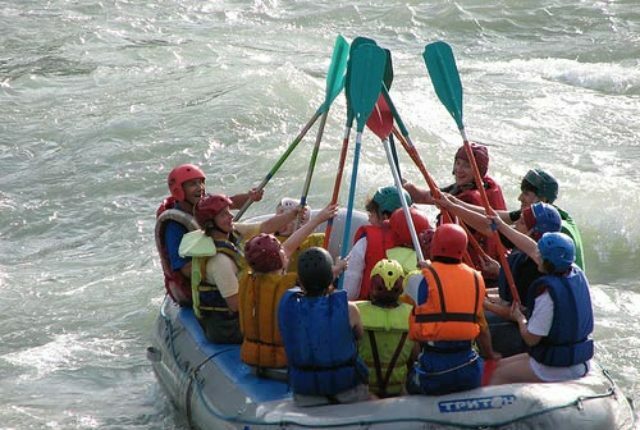 Feel the extreme of the local white water rafting! 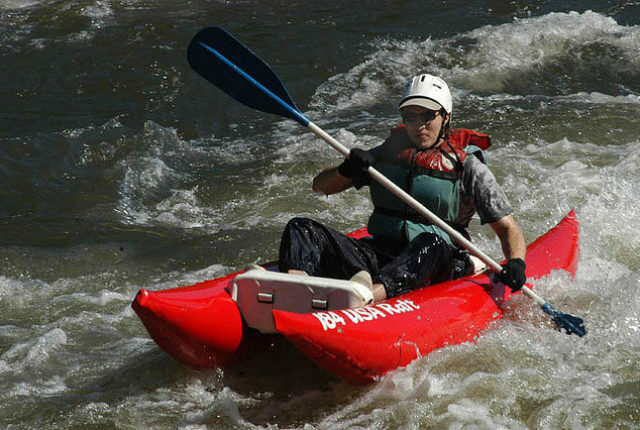 Rafting on the Cheremosh river does not require any special training. You will get all the necessary information from tour instructor. It is safe and fun. Rafting itself takes about 1,5 hours. Other time is fitting and changing clothes (30 min), instruction and training (15 min) and return to the rafting camp by minivan (40-60 min). Our watercrafts are catamarans and rafts. Usually, catamaran crew consists of instructor and 3 – 5 tourists. Raft capacity is 4 – 8 tourists excluding instructor. 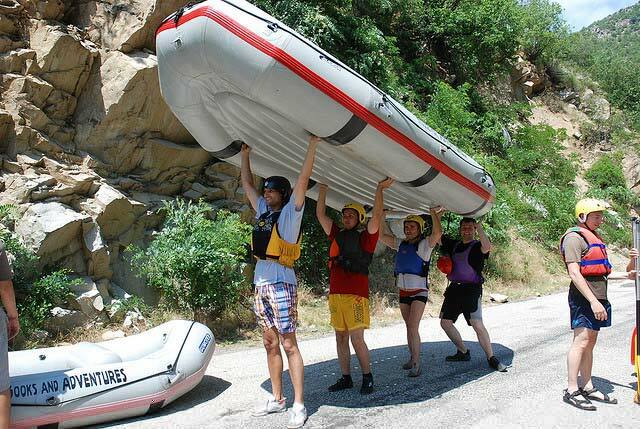 You can order rafting every day, from April 15 till September 15. Most of the mountain rivers of the region (Black Cheremosh, White Cheremosh, the Prut, the Stry, and Tisa River and its basin in the Transcarpathia) are accessible for tourists. The most popular on the rivers are kayaks, canoes, catamarans, rafts. The best time to go through rivers of the Carpathians is the end of April and the beginning of May when melting snow swells them with lots of water. Some of them like river Prut, the Black Cheremosh, the White Cheremosh and its small tributaries are only accessible during those few spring days. River Tysa and the Cheremosh are accessible for rafting throughout the warm season – from April to October. Depending on season, type of equipment and routes the Carpathian rivers are considered to have the third category of complexity with elements of V. The Carpathian rivers can be wonderful for off-season training with some of its parts having the highest category of difficulty. The routes along the rivers are made for the tourists with different requirements. There are trips with various difficulty levels – from I to IV inclusive.